Sleeping well can make or break a camping trip. 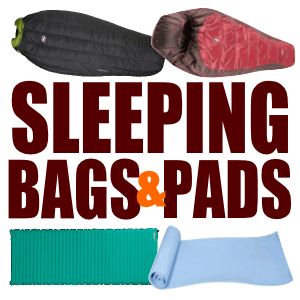 As with other gear, there are a bewildering number of sleeping bags and pads available. 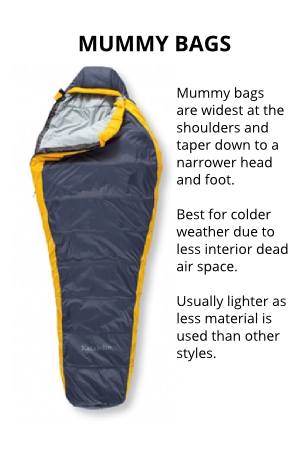 I recommend a moderately priced synthetic mummy bag from a reputable manufacturer like Coleman or Slumberjack. Models change frequently, if the specific models I recommend aren’t available choose a reputable brand with similar qualities. 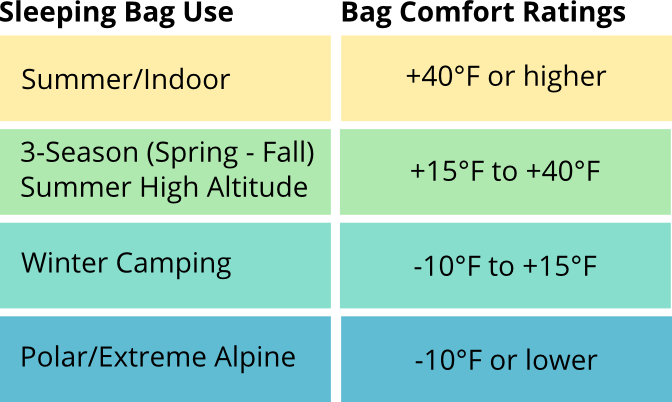 The temperature rating or “comfort rating” is the coldest temperature the bag is designed to withstand. 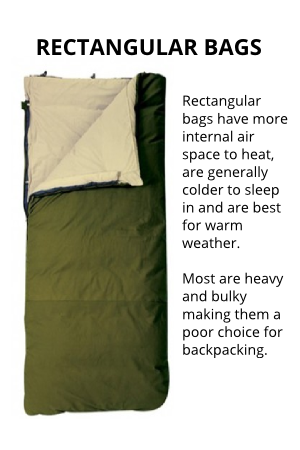 There is no industry standard for this rating, and some people sleep warmer than others do so temperature ratings are, at best, a general guideline. 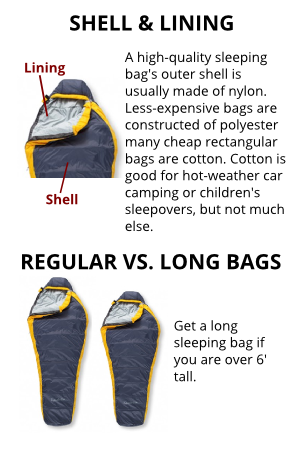 The right choice depends on where you go camping. Choose based on the coldest temperature you are likely to encounter. 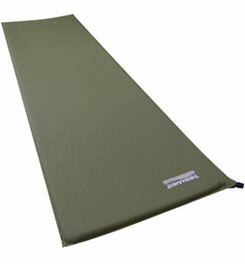 The Slumberjack Latitude series is a good example of three different temperature ratings in the same design. They are slightly bulky, but are lightweight enough to be appropriate for backpacking. Each is available in regular and long versions and all represent an excellent value for money. 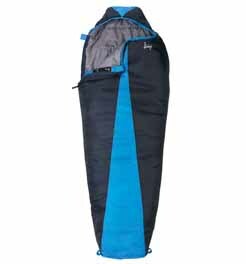 Slumberjack Latitude bags have Slumberloft™ synthetic insulation, polyester diamond ripstop shell, Polyester taffeta lining. Anti-snag zipper protection is sewn along the draft tube and zipper to ensure reliable zipper operation. Draft tube along zipper keeps out the cold air and prevents heat loss along the zipper. Trapezoidal foot box provides space so feet remain in a natural position for more comfort. Stuff sack included with each model. One-layer construction and differential cut prevents cold spots. Stuff size 8 in. x 16 in. Stuff size 10 in. x 17 in. Draft collar prevents heat loss from the neck and shoulder area. Wt. 4 lbs. 15 oz. Stuff size 11 in. x 17 in. 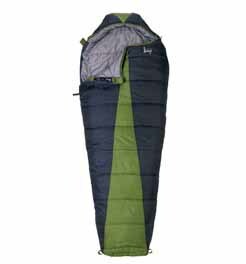 When the insulation in a sleeping bag is compressed between your body and the ground it loses its ability to insulate, making a sleeping pad an absolute necessity. 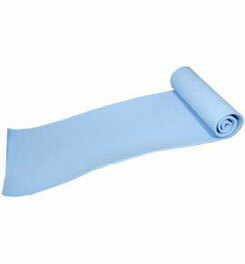 Smaller, lighter Scouts will do very well with an inexpensive closed-cell foam pad. 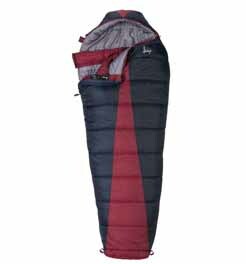 Bigger, heavier Scouts may want to consider a self-inflating pad if the budget allows. A basic foam pad won’t absorb water. While they don’t provide much padding, they assure more than adequate insulation. Open-cell foam in a sealed fabric envelope. When the valve on the envelope is opened, the foam expands. Much better padding for comfort and excellent insulation.